Charlotte, her ladies and her servants set out from Windsor for the town of Weymouth in a column of coaches on Friday, 9 September. If she had forgotten the warmth of the crowd’s reception on the day when her father opened Parliament, she was soon reminded. She was still the most popular member of the royal family. ‘Wherever I changed horses’, she told Mercer, ‘there were people assembled to see me, & they all looked good humoured and took off their hats’. She stopped in Andover for an early dinner and then drove on to spend the night at the Antelope Inn in Salisbury, where, she was delighted to report, the ‘Bish-UP’, as usual, was not in residence. She had to press through the crowd to get from her carriage to the inn, and in answer to their calls, she stood at her bedroom window for a long time with a candle held up so that they could see her. Next day the party drove on through crowded towns and villages towards Weymouth. They stopped for dinner at Puddletown, where General Garth*, who had gone ahead of them, had rented a house for himself. There was a young boy running around in the house, and the General, who said he was his adopted nephew Tom, told Charlotte after dinner that the boy would be ‘much mortified’ if she did not take notice of him. ‘A heart of steel could not have refused that’, wrote Charlotte, ‘for a more lovely boy was never beheld’. 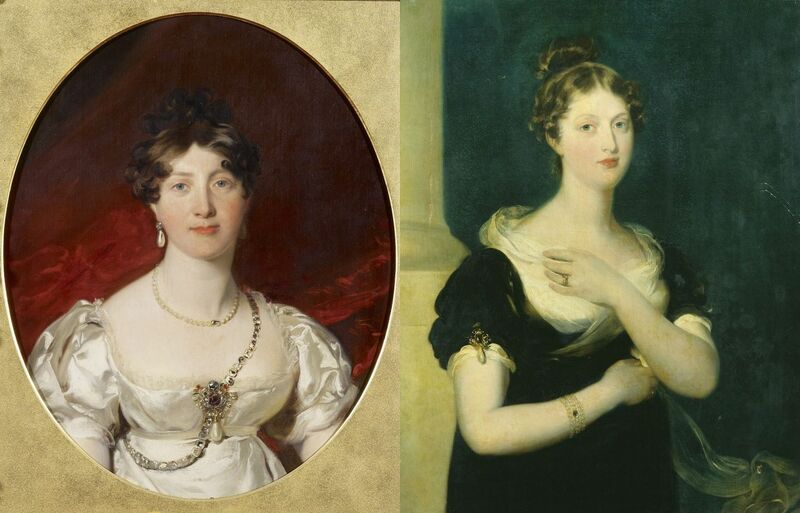 Skinny old Lady Rosslyn and her nieces, whom Charlotte was now calling ‘Famine and the Consequences’, were no longer in the room by then, but Lady Ilchester and Mrs Campbell were still there, and they were both shocked that the General had introduced the boy to the Princess. If not also shocked, Charlotte was at least taken aback when she was told his true identity. Tom’s mother was her favourite aunt, Princess Sophia, and General Garth was his father. In the course of the next week all the ladies were surprised by the extent to which the strict old General spoiled the boy. He even allowed him to stay on for a few days after the new term had started at Harrow. But now that Charlotte knew who he was – and the General clearly knew that she knew – it was embarrassing for her to have him around. Everyone in Weymouth seemed to know who he was as well. People even gathered to have a look at him when he was taken into town to have his hair cut. As she told Mercer, Charlotte suspected that the General was making her uncomfortable on purpose, probably because it was an indirect way of getting his own back on her aunt for having spurned both him and their son. It was not Tom’s fault, but Charlotte was relieved when he did at last go back to school. * General Thomas Garth (1744–1829) was a British Army officer and chief equerry to King George III. He was added to Charlotte’s entourage when she moved in to Cranbourne Lodge. Before she left England, the Princess of Wales, with what Grey called her ‘utter want of all sense of delicacy and propriety’, wrote suggesting that Charlotte might marry Prince Frederick of Orange, Slender Billy’s younger and brighter brother, who was just then in England with his regiment. In August he was at Windsor, and took part in a review of troops by the Duke of Wellington, within sight of Cranbourne Lodge – ‘a thin young man, & rode a fine prancing horse’, said General Garth, who had been to look; but Charlotte was in a rage. ‘Can you conceive anything so indelicate,’ she demanded, ‘as bringing him down close to my house after all that has passed?’ All the same, she had climbed, ‘covered with a few pelisses’, up to the roof-top, and watched what she could see of the review through a telescope. 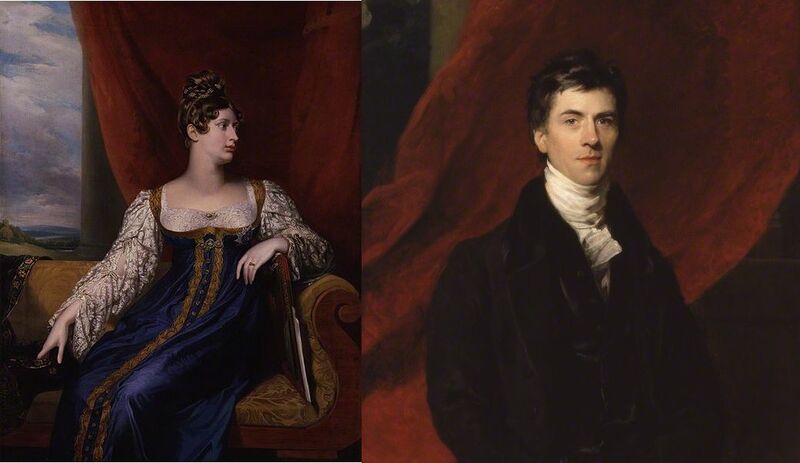 However, Prince Frederick showed no sign of following up his dashing equestrian exploits with a visit to Cranbourne Lodge, and Charlotte’s dull life went on as before. One consequence of the move to Windsor was that she saw more of her grandmother and aunts, and though, as she said later, ‘they all pull different ways & I go mine’, her references to the family are for the most part more tolerant. Her unheard-of behaviour in breaking off the engagement and defying her father had caused a flutter in the Castle dovecote; and when she arrived at Cranbourne Lodge she was much on the defensive and too miserable to want to see anyone. She had no desire to confide in any of the family; but in order to clear the air on the Orange question, she decided to have a talk with Princess Mary, and hoped thus to communicate her point of view, wrapped in Mary’s careful diplomacy, to the Prince. Her aunt received her eagerly, only too delighted to have what she called a conference upon Charlotte’s recent troubles. Cat-like, with carefully-hidden claws, Princess Mary gently drew from her niece the whole story of the broken engagement, the scene with the Regent at Warwick House and finally Charlotte’s flight, seeming impressed by her niece’s firmness and intrepidity. But she was shocked, she said, to learn that she had run away ‘from desperation’; and with a sudden volte-face declared that it was all the Prince Regent’s fault. After the engagement had been broken he should have gone to see Charlotte at once, particularly when she wrote that she was ill. Then all this would never have happened. Before the interview ended there were one or two sharp scratches from the aunt. She hinted that politically Charlotte’s behaviour had been disastrous: the Prussians, she said,were furious with her for endangering the Dutch alliance, and the King of Prussia had declared that he would not go to say good-bye to her. But ‘I confounded her,’ said the niece, ‘by saying he had sent me his Chamberlain with a very gracious & civil message.’ Princess Mary made a quick recovery, and went on to warn Charlotte to keep away from the Duchess of York, who was still excessively angry with her. * ‘We parted after this,’ said Charlotte, who nevertheless persuaded herself that the result of this conversation was ‘really favorable’. She felt that she had made it clear that she would never, in any circumstances, be talked into a renewal of the Orange match. Princess Mary had evidently decided to play the part of Charlotte’s friend and adviser. Unfortunately, the overplayed it, and now wrote rather patronizingly, justifying the Regent’s ‘cool and reserved manner’, and indicating that Charlotte was largely to blame. ‘Though your father is desirous of showing you all the kindness he feels towards you, you must meet him half way and be sencible [sic] your own steady conduct alone can make him place confidence in you.’ This put Charlotte’s back up. ‘I am trying to conciliate the P.R. by all good means,’ she complained to Mercer, and in a thoroughly irritable condition prepared herself to go to a fête at Frogmore. This was her first appearance in public since her flight and banishment, and she was nervous. ‘We go in two carriages,’ she said. ‘I shall take Lady Ilchester in one, and let the others go in the other.’ She wished to make her entrance alone, untrammelled by the ‘whole train of nasty ugly women’, as she rudely described her ladies. At this party she met the Duchess of York, who, contrary to Princess Mary’s dark warnings, ‘was perfect in her manner of meeting & conducting herself towards me; nothing could be better’. The Duke of York, conscious of their last encounter, was ‘awkward in manner but not unkind’; and the Regent, whom she had dreaded meeting, ‘just spoke, & good-naturedly, (the few words he did utter)’. He was closeted with ministers most of the evening, but when he left ‘he wished me good-bye & added a my dear to it’. She hoped that she was forgiven. By degrees she was succeeding in calming her affronted relations. The Queen, to her surprise, was ‘remarkably good-humoured & gracious’; and indeed, now that the Princess of Wales had removed herself from the scene, Queen Charlotte’s attitude to her granddaughter underwent a change, and she began to act independently of the Prince, even to the point of standing up to him in defence of Charlotte’s rights. Towards the end of August, at ‘a very seemly little musick party’ at Frogmore, Charlotte again had a tête à tête with her Aunt Mary, who was at her most amiable. She professed herself ‘all anxiety’ for her niece to marry. ‘I see no chance for you of comfort … without your marrying,’ she said. ‘All your family should be glad if there was anything that would do …’ But it seemed, when they discussed it further, that there was nothing that would do. Charlotte ‘joked’ about Prince Charles of Mecklenburg-Strelitz, who had been the Queen’s candidate. ‘Oh God, no,’ cried Princess Mary, and added, ‘I would be the last now to recommend … anyone in particular.’ But when Charlotte, apparently joking again, mentioned Prince Leopold of Saxe-Coburg, her aunt ‘colored not a little’ and admitted, ‘I think from what I saw of him he is a very good looking & very gentlemanlike young man.’ ‘I don’t like him,’ said Charlotte, ‘for he does not suit my taste.’ At this her aunt ‘thought a little’ and then said quietly , ‘You don’t, you don’t.’ ‘She seemed quite satisfied & cheerful again,’ said Charlotte, ‘so that I suspect there is something there with her.’ It looks as if Princess Mary, trying to pick a husband for her niece, was in fact going through the list on her own behalf as well. 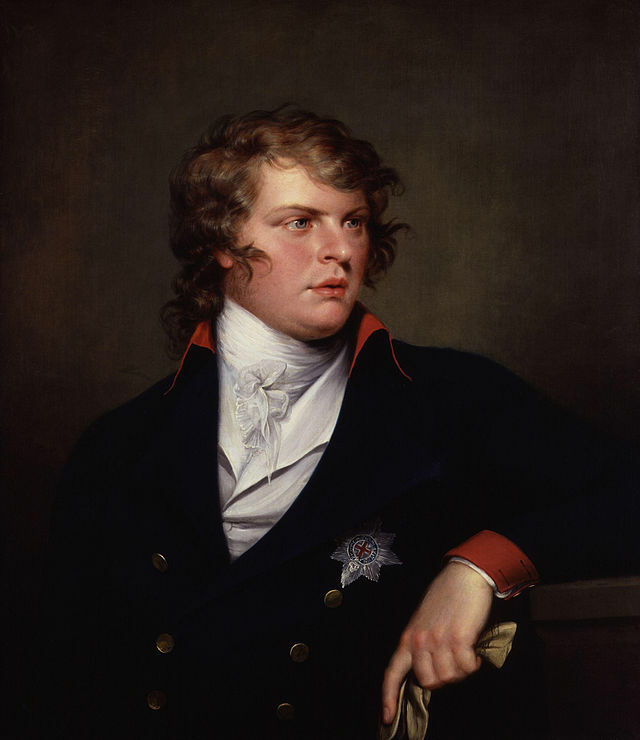 A few days later, evidently in answer to an enquiry on the subject from Mercer, Charlotte declared that she had no idea whether her Aunt Mary thought of the Prince of Coburg ‘in any particular way’, but her manner seemed to show that there was ‘something or other’. 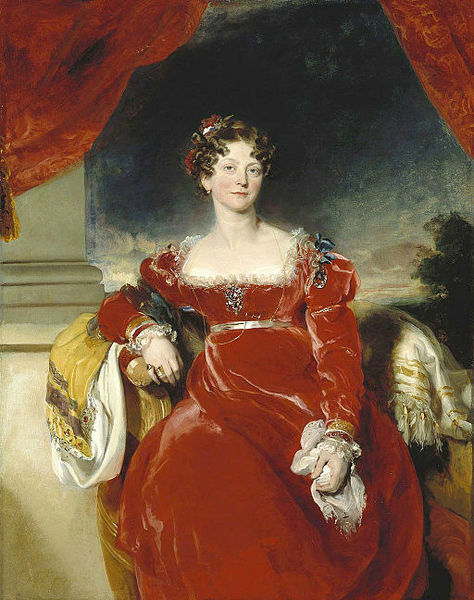 Princess Sophia, questioned about this by her niece, denied all knowledge of it, but said that Leopold could never be ‘worked’ as a husband for Charlotte, as ‘he had not a shilling’. * The Hereditary Prince of Orange was her nephew. Two days after her capture, Charlotte, with the aid of her drawing master Mr. Starkey, succeeded in smuggling a pencilled letter to Mercer out of Carlton House. She was allowed neither pen, ink nor paper, but she had stolen ‘these few sheets’, and intended, she said, to pass the letter through milk, to preserve the pencil. She was writing to her uncle Sussex in the same way. ‘You have no idea of my situation,’ she wrote to Mercer. ‘Oh, God, it ought to be remedied indeed, for it is wretched, and enough to send anyone wild … I am complete prisoner, not a letter or thing could get to me except by some merciful private hand.’ Even the Bishop was a welcome visitor in her desolation: he had promised to try and see Mercer, to beg her to get permission to visit Charlotte. ‘Shall you venture,’ she enquires of her friend, ‘upon asking leave to come and see me? … Oh, I wish you would … pray, pray do it.’ She is filled with self-reproach: ‘It is I who by my mad conduct brought all this upon you’ – and she reminds herself yet again of their heartbroken parting when ‘I could not utter one single word because you could not’. The following Monday she is to be moved to Cranbourne Lodge, in Windsor Forest, where she will be even more isolated. Her new ladies, she says, ‘are stupider and duller than anything’. She did not even attempt to talk, and meals were a misery – ‘so forlorn and prisonish’ – and she thinks of the cheerful dinners at Warwick House when Mercer was with her. In spite of inflicting this heavy punishment upon his daughter, the Regent was all charm when they met. ‘I heartily begged his pardon for my rash act,’ she said, and he told her that he had forgiven her.”He cried a vast deal,’ she said, ‘did not know what to do for me, but would try & not make my life miserable.’ But the mention of Mercer, she said, drew from her ‘a violent shower of tears’. Altogether, it was a tearful scene, but hardly a constructive one for Charlotte’s future. On receiving Charlotte’s pencilled note from Carlton House, the Duke of Sussex composed a letter to the Prime Minister. Princess Charlotte, he said, was being treated as a State Prisoner. Her health was suffering, and her doctors had prescribed sea bathing as vitally important to her recovery. He demanded permission to visit her. Two days later, on July 19, having received no reply, he got up in the House of Lords, and put five questions, devised by Brougham, to Lord Liverpool. He wished to know, he said, if the Princess is allowed to receive her friends as usual; if she is able to write and receive letters. Is she actually under the restraint of imprisonment? Did not her doctors, a year ago, prescribe a yearly visit to the seaside as necessary to her health? And lastly, now that she passed the age when by Law she is fit to govern, what steps have been taken towards providing her with an Establishment suitable to her rank, and to the part she will soon have to perform? The questions were pertinent, and embarrassing. Lord Liverpool refused to answer, on the grounds that the points raised by the Duke ‘would bear by implication a disagreeable appearance as uninvited as it was unnecessary’. ‘Old Bags’, the Lord Chancellor, who was largely responsible for the Regent’s restrictions on Charlotte, ‘administered a rebuke.’ But Sussex, undeterred, said that he would raise the subject again. Before he finally sat down he begged to address the Woolsack, quoting Bacon – he believed it was Bacon – on the importance to man of reading, writing and conversation, and pointing out that ‘retirement, coercion and seclusion were not the means to instruct and give Princess Charlotte of Wales the most favorable idea of the beauty and advantages of the glorious constitution of this country, over which she was one day, please God, to rule’. Perhaps it is not surprising that after this the Regent refused to meet his brother Sussex again. Rhetoric won that day. Charlotte’s defences crumbled; and she gave in. She agreed to see her uncle York, and to return with him. She had only one stipulation to make: she would go back in a royal carriage. It was only when Mercer came to say good-bye that Charlotte’s control broke down. The two girls clung to each other, unable to speak, believing in this moment of agony that they were being torn apart forever. Poor Miss Knight was also facing the realization that her life with Charlotte was over – and over for good. Stricken as she was, she could not face going down to say good-bye: she was alone upstairs, she tells us, in hysterics. The Duke of York handed Charlotte into the royal carriage, but made a fuss when Mrs. Louis, still carrying the Princess’s night things, attempted to follow her. It was only with great difficulty that the Princess of Wales persuaded him that Charlotte must have her maid with her, and Mrs. Louis was grudgingly permitted to perch on the edge of the seat facing the Princess. One wonders when she became dresser to the young Queen Victoria, if amongst her other reminiscences, Mrs. Louis told her about this grim early morning drive from Bayswater to Carlton House. The Princess sat, pale and silent, beside her uncle York, who still held in one hand the folded paper which he had brought to Connaught Place, the warrant to take Charlotte by force. Fortunately, he had not needed it. At Carlton House the carriage was kept waiting in the courtyard for more than half an hour, because nobody had been told how the Princess Charlotte was to be received, and the new ladies had to be hastily assembled. Eventually, Lady Ilchester, Lady Rosslyn and Mrs. Campbell were ready, and, the bodyguard being formed, the Princess was permitted to enter her father’s house. But he [The Prince Regent] was by no means satisfied with her [Miss Knight’s] apology for Charlotte’s absence at this interview. He would expect to see her to see her the following day, between two and three, he said, unless Dr. Baillie came and said that she was absolutely incapable of walking from Warwick House. That night Charlotte sent a note to Mercer, begging her to come ‘as early as possible to me tomorrow’. Her friend had been with her when Miss Knight returned from the Regent, and knew of Charlotte’s reluctance to go to Carlton House next day. The doctors, wrote Charlotte, were to meet, ‘if possible to prevent my going’. She explained that far from avoiding a meeting with her father, she was most anxious to see him: but she was convinced that if once she set foot in Carlton House she would be kept there. The plan, she said, ‘is to be a sudden one, when once there to keep me, and not to allow my return’. She had heard rumours, through the Duke of Sussex, and later through Lady Jersey, of the Prince’s plans, which – tinged though they are with the melodrama of Gothic fiction – were frightening enough to put her on her guard against every move of the Regent and his ministers. The next day, though Dr. Baillie said that she was perfectly capable of walking up to Carlton House, she felt too ill and wretched to go, and wrote to her father, begging that he would come to her. He kept her waiting till six in the evening, when he arrived, attended by the Bishop, whom he left with Miss Knight while he interviewed Charlotte alone. After three quarters of an hour the Bishop was summoned, and Cornelia waited on tenterhooks for the session to end. After another fifteen minutes, the door burst open. Charlotte rushed out ‘in the greatest agony’. She had but one instant, she said, to speak to Cornelia, the Prince had asked for her and was waiting. She then broke the news, which was as bad as she could have imagined. The ‘new ladies’ – Lady Ilchester, Lady Rosslyn and Mrs. Campbell – were already in the house. Miss Knight was to be dismissed, she said, and so were all the servants. Warwick House was to be given up, and Charlotte was to be kept for five days at Carlton House, after which she was to be taken to Cranbourne Lodge in the middle of Windsor Forest, where she would see nobody except the Queen once a week. Growing even more frantic, she added that if she did not go immediately to Carlton House, as she had been commanded, the Prince would sleep that night at Warwick House, as well as the ladies. In other words, Princess Charlotte was a prisoner.